Doris and the boys leave the ranch and move to San Francisco to a great apartment about Palucci's Italian restaurant. "How Can I Ignore the Man Next Door?" "Tony Bennett is Eating Here"
"Love Makes the Pizza Go Round"
"Buck Visits the Big City"
"It's Christmas Time in the City"
Doris finds a great apartment in San Francisco. However, her lease is in jeopardy due to her friends, dogs and weirdos. Doris masquerades as a cigar-smoking feminist to get the magazine rights to a book authored by an outspoken women's liberation leader. Doris' worst nightmare comes true when Mr. Jarvis moves into the apartment next to hers. Doris tries to do some marketing for help Angie and Louie's restaurant but almost gets the place shut down. Billionaire William Tyler lures Doris away from Today's World for a job traveling around the world. Doris misses her family back home and realizes that she may have made a wrong decision. French designer Montagne wants Doris to model at his San Francisco showing. Doris and Myrna search for a lost manuscript written by Ron and wind up auditioning for a seedy night club as go-go dancers! Duke returns with a nightclub act. Doris gets the wrong briefcase and is mistaken for a spy by government agents. Doris brings Tony to Pallucci's restaurant for a quiet dinner away from his adoring fans. But owner Angie gets so excited she broadcasts the singer's visit throughout the neighborhood. Doris's cousin Charlie shows up. His top-secret government work brings trouble. Doris tries to help Angie and Louie's marriage but may break them up instead of bringing them together. Buck comes to the big city and has difficulties adjusting. Mr. Jarvis doesn't like parties and is a real Scrooge to Doris and her guests. Doris launches a campaign against air pollution. Doris is used as bait by Ron in order to get an interview with a quarterback. 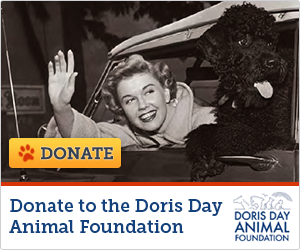 Doris tries to rescue Duke from a socialite whom Doris believes to be a phony. Doris gets a visit from Jarvis's uncle who is surprisingly unlike Jarvis in every way. Leroy's is squandering his rodeo prize winnings. Doris must come to his aid. Doris is surprised to find that Colonel Fairburn's son is a hippie. A father (widower) has concerns about his daughter Sue Ann going on her first date with Billy. In the process he falls for Doris. Doris is surprised to learn that she has won a Doris Day Look-Alike Contest which the boys entered her in without her knowledge. A doctor takes interest in Doris after meeting her at a ski resort. Doris has to fill in for an all male camping trip when Grandpa can't make the trip with the boys. Doris's niece pays a middle-of-the-night visit seeking her advice on how to patch up her marriage.